Eighth- and ninth-century Armenia and Caucasian Albania were largely Christian provinces of the then Islamic Caliphate. Although they formed a part of the Iranian cultural sphere, they are often omitted from studies of both Islamic and Iranian history. 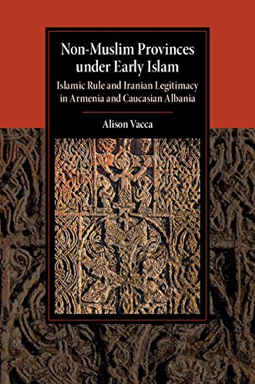 Vacca uses Arabic and Armenian texts to explore these Christian provinces as part of the Caliphate, identifying elements of continuity from Sasanian to caliphal rule, and, more importantly, expounding on significant moments of change in the administration of the Marwanid and early Abbasid periods. Vacca examines historical narrative and the construction of a Sasanian cultural memory during the late ninth and tenth centuries to place the provinces into a broader context of Iranian rule. 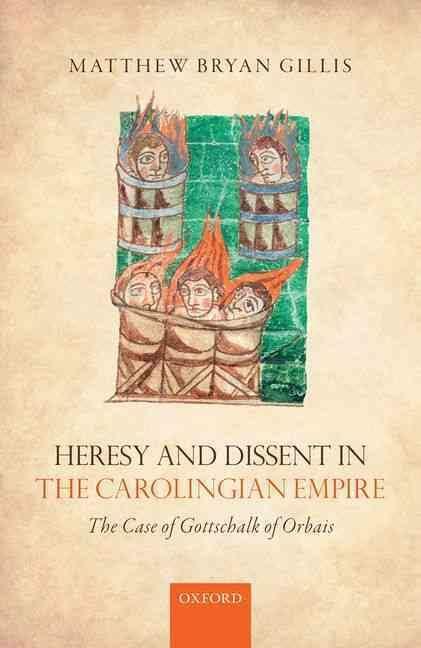 Heresy and Dissent in the Carolingian Empire recounts the history of an exceptional ninth-century religious outlaw, Gottschalk of Orbais. 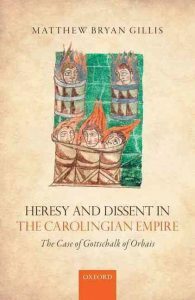 This study reconstructs the career of the Carolingian Empire’s foremost religious dissenter in order to imagine that empire from the perspective of someone who worked to subvert its most fundamental beliefs. Examining the surviving evidence (including his own writings), Matthew Gillis analyzes Gottschalk’s literary and spiritual self-representations, his modes of argument, his prophetic claims to martyrdom and miraculous powers, and his shocking defiance to bishops as strategies for influencing contemporaries in changing political circumstances. 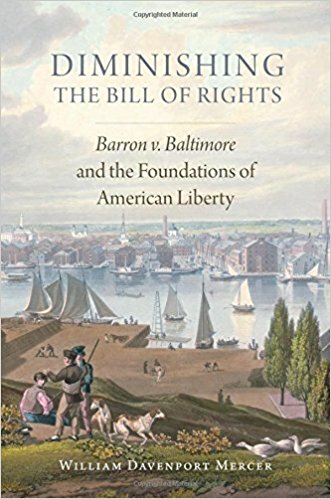 In Diminishing the Bill of Rights, William Davenport Mercer examines the 1833 Supreme Court decision as a turning point in the development of our current conception of individual rights. 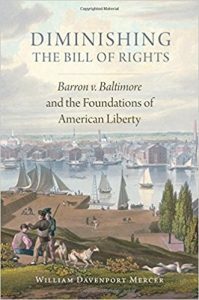 Since the colonial period, Americans had viewed their rights as springing from multiple sources, including the common law, natural right, and English legal tradition. In explaining how the Court came to reject a multisourced view of human liberties, Mercer shows the ways the decision helped hasten a reconceptualization of rights as located in documents, a legacy that marks the emergence of a distinctly American constitutionalism. 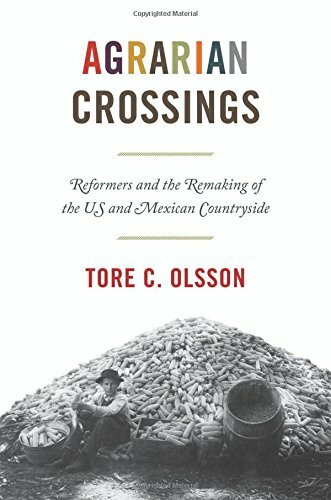 In the 1930s and 1940s, rural reformers in the United States and Mexico waged unprecedented campaigns to remake their countrysides in the name of agrarian justice and agricultural productivity. Agrarian Crossings tells the story of how these campaigns were conducted in dialogue with one another as reformers in each nation came to exchange models, plans, and strategies with their equivalents across the border. Dismantling the artificial boundaries that can divide American and Latin American history, the book shows how the agrarian histories of both regions share far more than we realize. Volume X covers a pivotal year in Jackson’s presidency. In 1832 Jackson vetoed the Bank of the United States, faced down the South Carolina nullifiers, spurned the Supreme Court’s defense of the Cherokees, contended with a national cholera epidemic, and won triumphant reelection to a second term over opposition leader Henry Clay. This thrilling volume presents the private letters, memoranda, and handwritten message drafts that tell the hidden stories behind these events and many more. 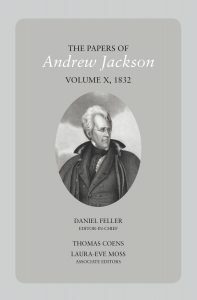 Volume X won the Thomas Jefferson Prize of the Society for History in the Federal Government, awarded every two years for an outstanding documentary edition in federal history. 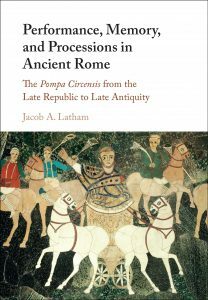 The pompa circensis, the procession which preceded the chariot races in the arena, was both a prominent political pageant and a hallowed religious ritual. Traversing a landscape of memory, the procession wove together spaces and institutions, monuments and performers, gods and humans into an image of the city, whose contours shifted as Rome changed. In the late Republic, the parade produced an image of Rome as the senate and the people with their gods – a deeply traditional symbol of the city which was transformed during the empire when an imperial image was built on top of the republican one. In late antiquity, the procession fashioned a multiplicity of Romes: imperial, traditional, and Christian. 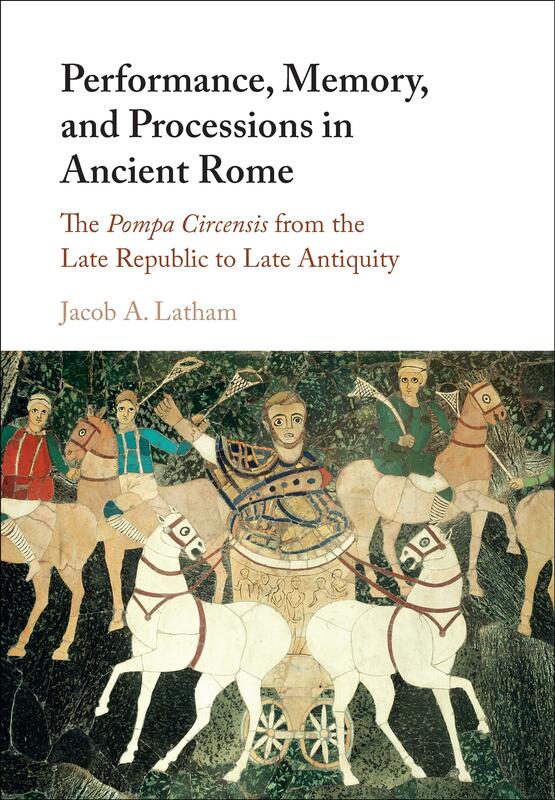 In this book, Jacob A. Latham explores the webs of symbolic meanings in the play between performance and itinerary, tracing the transformations of the circus procession from the late Republic to late antiquity. 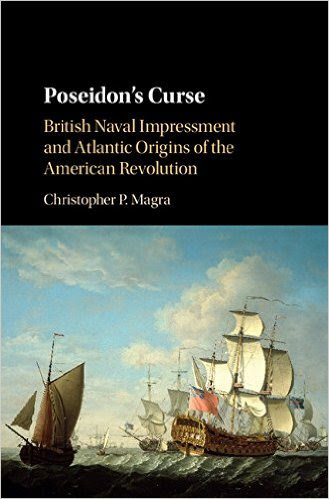 In his second book on the American Revolution, Christopher Magra presents stunning new evidence that the birth of a nation was deeply moored in events on and around the Atlantic Ocean. The British navy appropriated private property and free labor to support the expansion of Britain’s global seaborne empire. Everywhere, merchants and mariners resented and resisted naval impressment. Yet, Americans were the only people to declare independence from the British Empire because of impressment. This new book explains the shared and unique dimensions of the American Revolution. Laura Nenzi is the author of The Chaos and Cosmos of Kurosawa Tokiko: the story of a self-described “base-born nobody” who tried to change the course of Japanese history. Kurosawa Tokiko (1806–1890), a commoner from rural Mito domain, was a poet, teacher, oracle, and political activist. In 1859 she embraced the xenophobic loyalist faction (known for the motto “revere the emperor, expel the barbarians”) and traveled to Kyoto to denounce the shogun’s policies before the emperor. She was arrested, taken to Edo’s infamous Tenmachō prison, and sentenced to banishment. 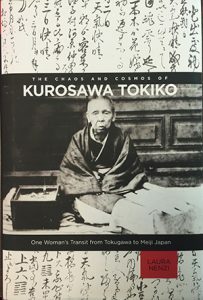 In her later years, having crossed the Tokugawa-Meiji divide, Tokiko became an elementary school teacher and experienced firsthand the modernizing policies of the new government. After her death she was honored with court rank for her devotion to the loyalist cause. It is difficult to think of two twentieth century books by one author that have had as much influence on American culture when they were published as Alex Haley’s monumental bestsellers, The Autobiography of Malcolm X (1965), and Roots (1976). They changed the way white and black America viewed each other and the country’s history. 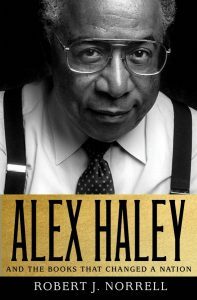 Alex Haley and the Books that Changed a Nation follows him from his childhood in relative privilege in deeply segregated small town Tennessee to fame and fortune in high powered New York City. This deeply researched and compelling book by Robert J. Norrell offers the perfect opportunity to revisit his authorship, his career as one of the first African American star journalists, as well as an especially dramatic time of change in American history. From 1868–1872, German geologist Ferdinand von Richthofen went on an expedition to China. His reports on what he found there would transform Western interest in China from the land of porcelain and tea to a repository of immense coal reserves. By the 1890s, European and American powers and the Qing state and local elites battled for control over the rights to these valuable mineral deposits. As coal went from a useful commodity to the essential fuel of industrialization, this vast natural resource would prove integral to the struggle for political control of China. 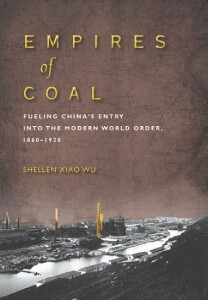 In Empires of Coal, Shellen Xiao Wu argues that the changes specific to the late Qing were part of global trends in the nineteenth century, when the rise of science and industrialization destabilized global systems and caused widespread unrest and the toppling of ruling regimes around the world. 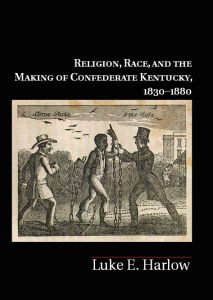 Luke Harlow’s Religion, Race, and the Making of Confederate Kentucky, 1830-1880 (2014) shows the influential role of debates over Christian “orthodoxy” in the shaping of American political debates over slavery and abolition. Focusing on the border slave state of Kentucky, which claimed a longstanding antislavery presence and remained with the Union during the Civil War, Harlow explains how theological conservatism compelled the majority of the state’s whites to embrace the Confederate cause after the fact. In so doing, the book shows both the potential and limitations of public discourse about race and slavery throughout the United States before, during, and after the Civil War. Harlow spoke with fellow UTK history professor Monica Black about the book for the New Books in History podcast. Charles Sanft’s new book Communication and Cooperation in Early Imperial China: Publicizing the Qin Dynasty (2014) challenges longstanding notions of the Qin dynasty, China’s first imperial rulers. Historians have long portrayed the Qin as epitomizing totalitarian government. 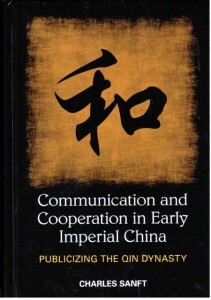 Communication and Cooperation synthesizes received accounts and new information from archaeology in China with interdisciplinary theory to provide a reconsideration of this key period in China’s history. It shows that rather than ruling solely or even primarily through oppression, the Qin had a sophisticated approach to rule that incorporated significant non-coercive tactics that relied on media to encourage cooperation between the public and the emperor. 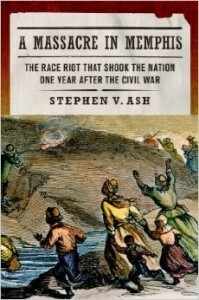 Steve Ash’s most recent book is A Massacre in Memphis: The Race Riot That Shook the Nation One Year after the Civil War (2013). 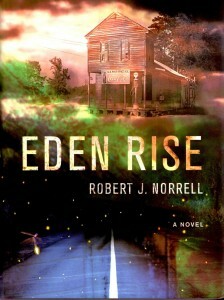 It is the first book-length study of the horrific, three-day-long Memphis riot of 1866, in which rampaging white mobs murdered 46 black men, women, and children; assaulted, robbed, and raped many others; and burned down every black church and school in the city along with many dwellings. One of the most sensational events of the post–Civil War era, the riot spurred Congress to take action to protect the South’s ex-slaves and helped launch Radical Reconstruction. 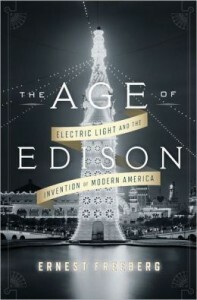 In spring 2013, Ernest Freeberg published The Age of Edison: Electric Light and the Invention of Modern America, a history of the social and cultural impact of electric light. The Washington Post has called the book “a captivating intellectual adventure that offers long-forgotten stories of the birth pangs of the electrical age that are amusing, surprising, and tragic.” Freeberg has been sharing his findings with audiences across the country, including appearances on National Public Radio and C-Span. 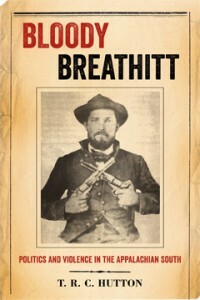 In Bloody Breathitt: Politics and Violence in the Appalachian South (2013), Robert Hutton offers an account of the intersection of power and brutality between the Civil War and the Progressive era in one tumultuous community. In the late 1800s, Breathitt County, Kentucky, seemed the quintessential “feud” locale, a remote mountain anomaly bereft of New South progress. In fact, Breathitt County’s violent history reflected events far beyond its borders. “Feud,” and all it entailed, was only one of many deceptive names for killing that continue to distort the causes of violent death all over the globe. 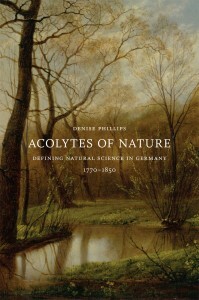 Denise Phillips is the author of Acolytes of Nature: Defining Natural Science in Germany, 1770–1850 (2012). Phillips’s book offers a history of the concept “science” within German-speaking Europe, exploring how changes in German culture and society affected ideas about scientific knowledge. The Germans started using a modern concept of science several decades in advance of other European nations, and Phillips’s research explains the reasons for their precocious adoption of this category. 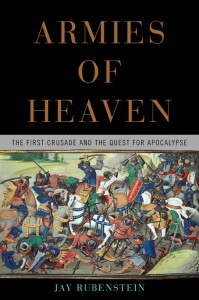 In Armies of Heaven: The First Crusade and the Quest for Apocalypse (2011), Jay Rubenstein retells the story of the First Crusade in a way that draws forth the apocalyptic motivations and beliefs that underlay the unprecedented brutal battles that it spawned. In 1096, tens of thousands of warriors from France, Germany, and Italy, marched east with the goal of reclaiming the city of Jerusalem for Christendom. Their mission, later known as the First Crusade, reached its culmination four years later and in the process inaugurated a new kind of warfare: holy, unrestrained, and apocalyptic.